This book is a collection of 32 papers written over a period of more than ten years and for different kinds of audience. 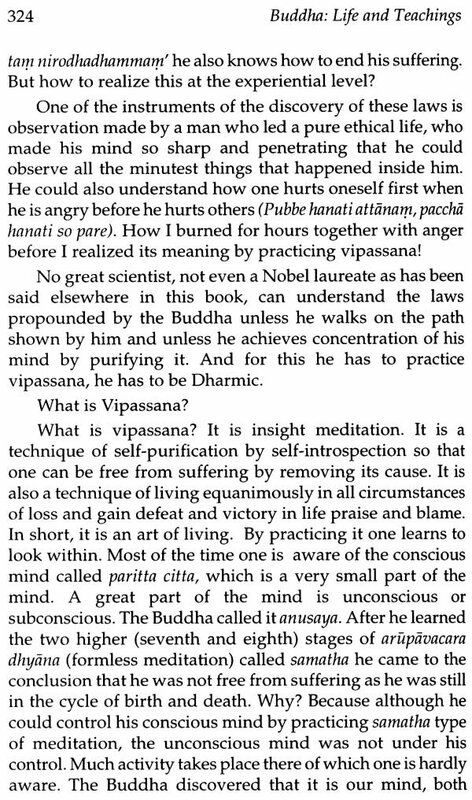 It includes papers such as Traditional Biography of the Buddha, Development of his ideas, his discovery of vipassana—a great improvement on Samatha type of meditation, its importance in personal as well as social life, and its role in the development of panna (wisdom) that purifies and liberates one. 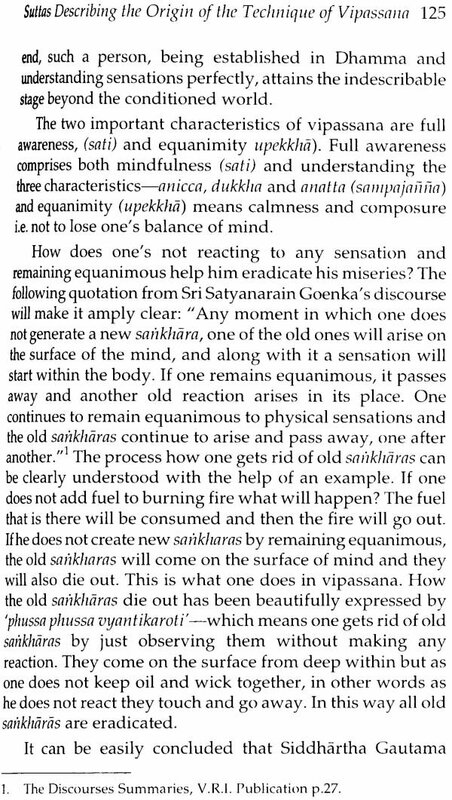 One paper gives an outline of how vipassana was brought to India by Acarya Satyanarain Goenka in modern times and how it spread here and abroad. Three papers namely The Noble Eightfold Path, Tilakkhana, and Nibbana explain the basic teachings of the Buddha. There is one well-researched paper here which proves that Uddaka Ramaputta was not the teacher of the Bodhisattva, as wrongly held by practically all scholars of the east and the west. It also contains papers bringing out the universal nature of Dhamma based on laws of nature that apply to all alike. Buddha Dhamma is based on universal laws which are scientific. The Dhamma propounded by the Buddha is completely different from other sectarian religions, which give importance to different gods and different rites and rituals. Whereas sectarian religions divide people, the Dhamma propounded by the Buddha unites them. 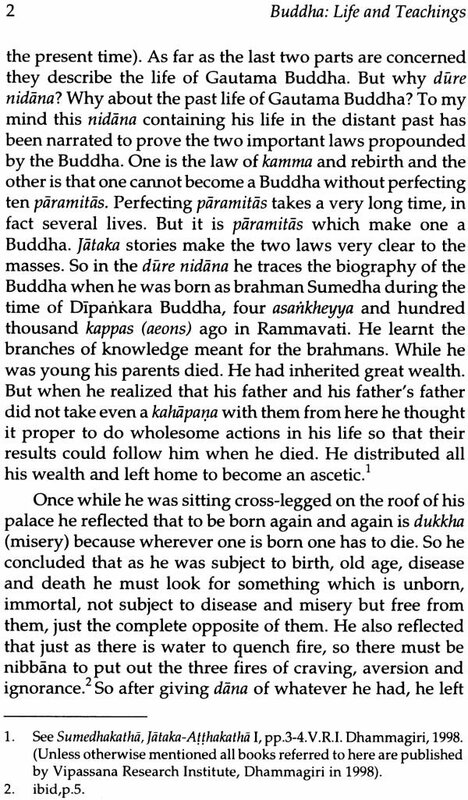 The Dhamma described in Pali Literature really gives the key to understand what pharma described elsewhere in other scriptures really means. 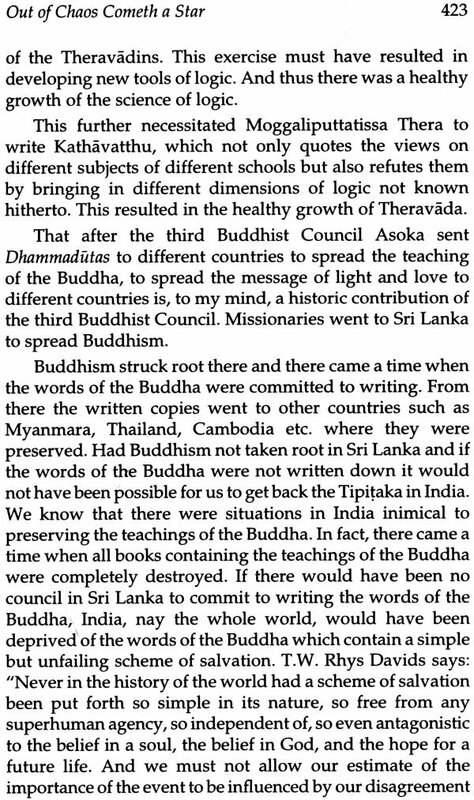 There are three papers here which bring out the Buddhist heritage of Magadha, Bihar's contribution to the preservation of Buddha's teachings, and the role of Asoka in not only preserving the teachings of the Buddha but also in spreading it to neighbouring countries by sending Dhammadutas there. The writer of these papers, Professor Angraj Chaudhary, was a Professor in Nava Nalanda Mahavihara, Nalanda, Bihar where he taught English and Pali Literature. There he did research work on Comparative Aesthetics: East and West for his D.Lit Degree from Patna University. He also edited some Pali Atthakathas, written by Buddhaghosa and Dhammapala about 1600 years ago, for the first time in Devanagari script. He was awarded the Certificate of Honour in Pali by the President of India in 2011. After he retired from the Govt of Bihar Education Service he joined Vipassana Reseach Institute, Dhammagiri, Igatpuri, Nashik, established by Vipassanacarya Satyanarain Goenka. Goenkaji had told him in 1973, when he had sat the first vipassana course with him, that he might need his services after his retirement. He retired in Dec. 1992. Within three months of his retirement Goenkaji sent him a message to join VRI, Dhammagiri which he was very happy to join. He continued to do the same kind of work he used to do at Nalanda. The work includes teaching Pali Literature, editing Pali Literature—both Canonical and non-Canonical—and translating some of the Atthakathas into Hindi. He was one of the editors who edited the Pali Tipitaka with it's Atthakathgs, Tilds, and Artutilcas in Devanagari Script in 140 vols. for the first time—a Himalayan task never undertaken anywhere in India before. He has also translated some Pali Atthakathas (written 1600 years ago but not translated into Hindi or English so far) into Hindi for the first time. 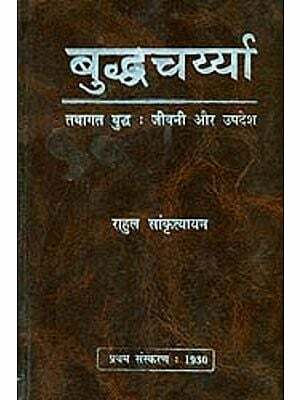 The Hindi translation of Suttanipate Atthakatha in 2 vols is soon going to see the light of day. The present book contains 32 papers written by him over a period of ten years on important teachings of the Buddha. His next attempt will be to publish Buddhist Aesthetics, on which he has been working for a long time. This collection of 32 papers written over a period of more than ten years and for different kinds of audiences includes papers such as Traditional Biography of the Buddha, Development of his ideas, his discovery of vipassana—a great improvement on Samatha type of meditation, its importance in personal as well as social life, and its role in the development of panna (wisdom) that purifies and liberates one. 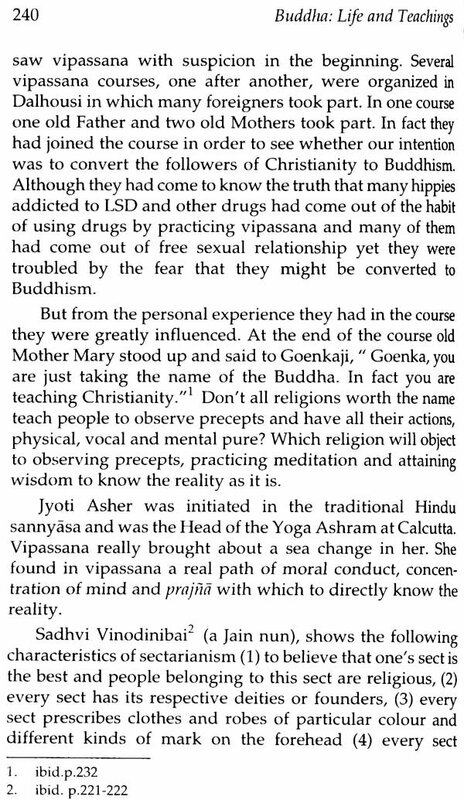 One paper gives an outline of how vipassana was brought to India by Acarya Satyanarain Goenka in modern times and how it spread here and abroad. Practicing vipassana means realizing at the experiential level how suffering arises and how craving is a fetter that binds one to the cycle of birth and death. It also enables one to understand the Law of Dependent Origination and to see the easiest way to cut the chain that binds him to the cycle of birth and death. Another paper shows how the text on vipassana, i.e. pariyatti, does not substantially differ from how it is practiced, i.e. patipatti, today. Three papers namely The Noble Eightfold Path, Tilakkhana, and Nibbana explain the basic teachings of the Buddha. 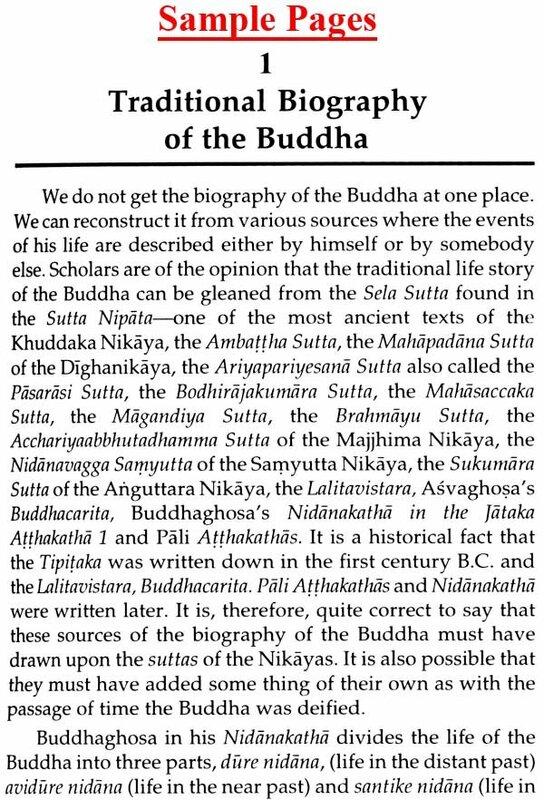 There is one well-researched paper here which proves that Uddaka Ramaputta was not the teacher of the Bodhisattva, as wrongly held by a host of scholars both of the east and the west. It also contains papers bringing out the universal nature of Dhamma based on laws of nature that apply to all alike. Buddha Dhamma is based on universal laws which are scientific. That the Dhamma propounded by the Buddha is based on universal laws such as avijja paccaya saidchara (ignorance gives rise to sankhara), vedana paccaya tarjha (sensations give rise to craving) etc. 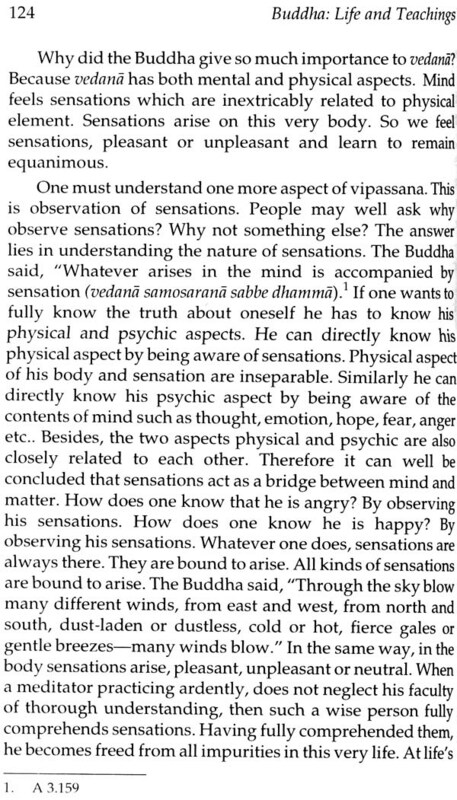 and vedana samosaratia sabbe dhamma (all mental dhammas are expressed through sensations) etc., the veracity of which can be tested by experimenting not in any outside lab as physicists, chemists and biologists do, but by experimenting in one's own fathom-long body with a mind made pure and sharp by observing moral precepts and attaining concentration. Although these laws are psycho-ethical, they are scientific because they explain that nothing happens haphazardly, everything that happens has a cause. The Dhamma propounded by the Buddha is completely different from other sectarian religions, which give importance to different gods and different rites and rituals. Whereas sectarian religions divide people, the Dhamma propounded by the Buddha unites them. Man's existential problem is suffering, which is caused by cravings. If cravings are annihilated, suffering comes to an end. And how can cravings be annihilated? By walking on the Noble Eightfold Path consisting of sila, samadhi and patina. For a universal problem there is a universal solution. The Dhamma described in Pali Literature really gives the key to understand what Dharma described elsewhere in other scriptures really means. There is another paper here which shows that the best way to achieve religious harmony is the Buddha way and the second best is the Asoka way, which says that achieving concord and not discord should be the aim of all sects, and that for achieving concord they should not criticize one another. In another paper it has been shown how the sublime teachings of the Buddha have greatly influenced Brahmanism. In a paper entitled Out of Chaos Cometh a Star it has been shown how the soldiers of Mara were to wreak havoc on the teachings of the Buddha, and how they were saved by those bhikkhus who were not greedy, not lax and lazy but were beyond Mara's temptation. It has also been shown here how VRI has avenged Mara. 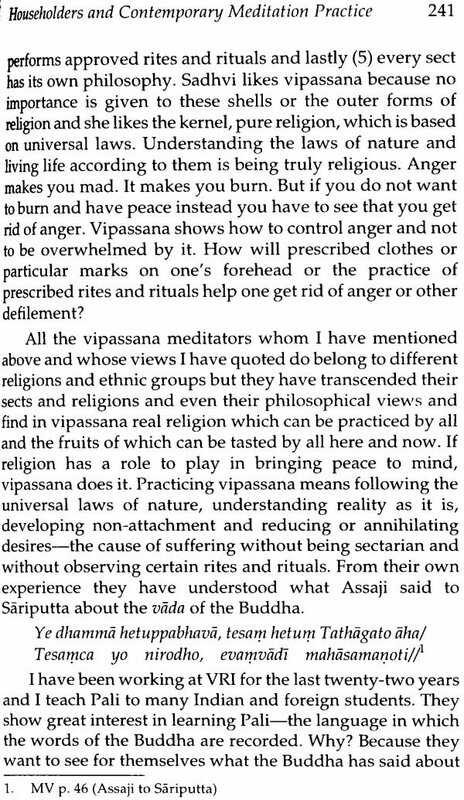 In one paper the views of practitioners of vipassana who hold different faiths and come from different walks of life have been summarized. Their views express volumes on the efficacy of vipassana in leading a happy and peaceful life. 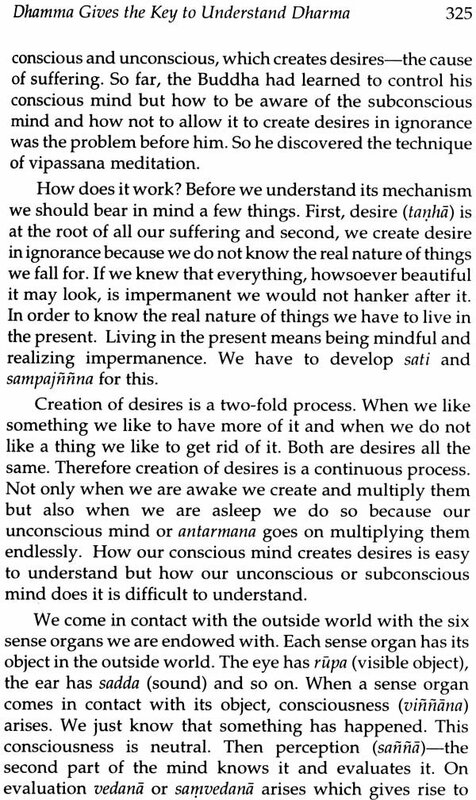 For annihilating cravings one needs to live a life of morality, practice meditation, and develop paibia to understand the impermanent nature of objects. In this way one can develop non-attachment for those objects for which he craves in ignorance. Only by annihilating craving can one attain nibbana—the summum bonum of human life. There are some other papers such as 'Vipassana Meditation vis-a-vis Social Change' where it has been shown that when one practices vipassana and lives a moral life, he can be a very good citizen whose conduct and actions can be of great help to solve different kinds of problems in society, such as law and order problems and social and economic problems. He will burn like a candle, dispel the darkness around him, and light many candles in society. All those lighted candles will become a very good and efficient workforce and will see to it that all programs of government for economic reforms—such as MNREGA and social reforms like abolishing the caste system—are honestly and effectively carried out. In this way they will live a good life and in the end will experience peace and happiness. They will have the courage to face death squarely. 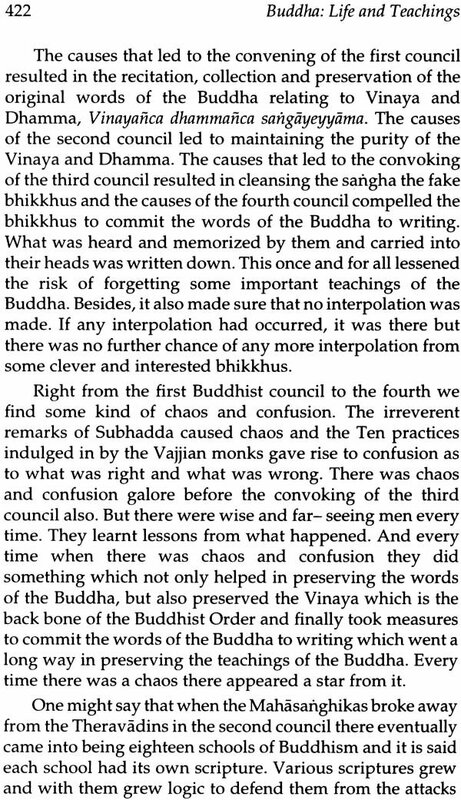 There are some other papers which bring out the Buddha's impact on Indian society, his ideas to eliminate social and economic problems, his importance in modern times, his developing of global consciousness at a time when such effective means of making the whole world a village were not there, and his view on globalization that is being practiced today.